The last of the Chaplin girls has gone to rest. Our beloved Mom, Ida Lillian Cameron (Chaplin) passed away peacefully on Thursday, December 20th, 2018. Age 90 years. Youngest daughter of the late Herbert and Ruth Chaplin. Devoted wife of the late Parker Delwin Cameron (1987). Loving mother of Doug and Jocelyn Cameron of North Bay; Susan and Bill Smith of Nobel; Mark and Anne Cameron of Vaughan; and Margaret “Meg” Cameron-Hammel and Ross Godsoe of Grimsby. Loving Nanny to Christine Cameron, Richard Cameron (Andrea), Stacey Smith (Matt Krieger), Matthew Smith, Lindsy Hammel, Cameron Hammel, Kyle Cameron and Alicia Cameron. Great Nan to Lily Krieger, Charlie Emlaw and Mary Emlaw. Special Great-Nan to Oliver. Special and most favourite Aunt to her many nieces and nephews: Allan, Ruth and Alan, Brian, Karen, Heather, John, Judy, Jimmy, Charlie and Rose, Teddy and Cathy Knight, Robert, Donny, KC and Virginia and the late Sidney. A fond farewell to Ida’s card-playing friends. 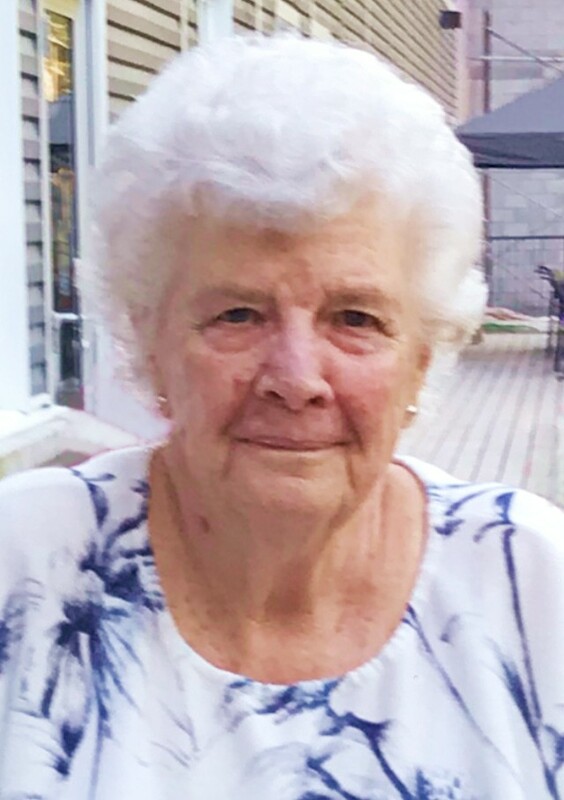 Friends will be received at the Logan Funeral Home, 81 James Street, Parry Sound (705-746-5855), on Saturday, May 4th, from 12:00 – 1:00 P.M.
Funeral Service will take place in the Logan Memorial Chapel on Saturday, May 4th at 1:00 P.M. Reception to follow. As expressions of sympathy, donations to St James Centennial United Church, Bayside Family Church, the ALS Society, or the West Parry Sound Health Centre (Palliative Care) would be appreciated. Send a condolence to the family of IDA CAMERON.